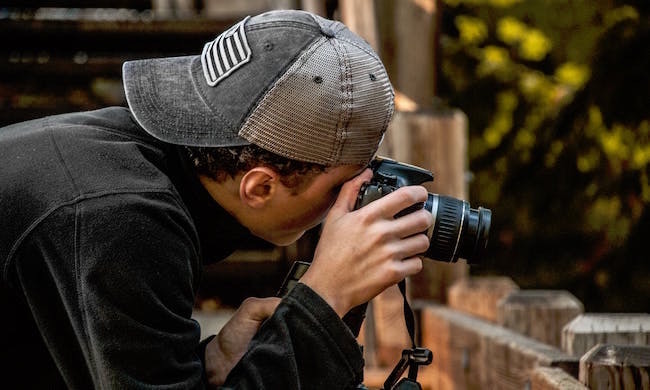 I had an interesting experience last week at my first book cover photo shoot! The publishing team for A Shadow Away, the first book of my Alex Cort Adventures series, decided we should create a new, more action-oriented image for the cover. A Shadow Away was written as an action adventure with a touch of magic, but I was told the cover looked more Young Adult and Fantasy. I wanted to appeal to a broad spectrum of readers, from a romance for women, to adventure for men, to something appealing to young readers, as well. Kind of like Indiana Jones, who everyone likes! Anyway, the team experimented with new, more exciting backgrounds depicting action and the excitement of a chase through the jungles of Brazil, when a jeweled statue linked to the legend of El Dorado disappears under mysterious circumstances. It has been a long process, with suggestions analyzed, and portions accepted while other parts rejected. Finding the right character to portray “Alex” took a while, too. Many long hours were spent searching for just the right model, who resembled most closely my imagined image of the hero of the series. And guess what—we found him! Of course, my ideal image won’t match every girl’s or woman’s hero image, so that’s why you won’t see exactly what “Alex” looks like. You can imagine him for yourself! Several days before the scheduled book cover photo shoot, I had to decide what I wanted “Alex” to be wearing on the expedition to find the lost city of El Dorado, as depicted in A Shadow Away (Book 1). I had a lot of fun choosing the right clothing—from shirt to jeans, to jacket/no jacket, to the right type of boot. I had no idea there would be so much involved. Lists of costumes were made, lists of possible action shot poses, lists of lists. It was all rather exciting. The day of the shoot was actually pretty much all fun. The team works well together, and we all had brilliant ideas about what our action hero could be doing. Many, many photos were taken of multiple jumping, standing, crouching, leaping, climbing poses and actions. The best will be selected, then fit into the action sequence on the new cover. The team was pretty tired after a full day of running and jumping by all of us, not just our hero. I give him credit though, because he was willing to wear a twenty-pound pea coat with a scarf wrapped around his neck in 90-degree weather, for a possible image I was thinking of for the fourth book, set in Ireland, The Black Horseman. So much goes into the actual publishing of the stories we writers try so hard to bring to life. I’ve been very lucky to receive many positive and enthusiastic responses from the people who have read A Shadow Away. I am so happy that those of you who have read my book love it and can’t wait for the launch of All Under Heaven, the second book of the series. It’s coming! I hope you enjoyed the images I wanted to create in your minds of all the work and the fun of publishing! If you enjoyed this post, please remember to “like” and share it with your friends! And use the sign up form below to be added to Joan’s email list so you never miss a post or update! 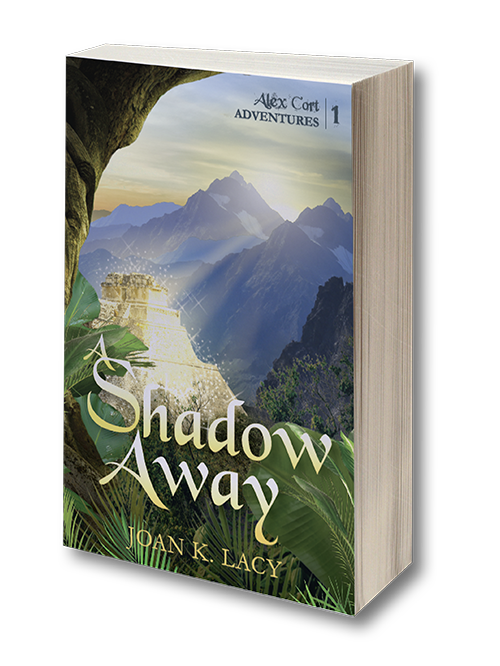 Magical adventure author Joan K. Lacy combines research and imagination to create the Alex Cort Adventures series, a series of metaphysical, fantasy adventure books, including A Shadow Away, All Under Heaven, and more forthcoming stories. You can also find her on Facebook, Instagram, Twitter, LinkedIn, Goodreads, and Google+. Sign up today for Joan K. Lacy's blog as well as updates. Plus, when you sign up, you will receive the first two chapters of A Shadow Away, for free!